My kids just got on the bus to head back to school after a week of fall break. I love having this time with them to create memories. This fall break my mom came into town from Idaho to spend some time with us. A portion of our time together included getting the kids’ outfits ready for Halloween. My mom is a seamstress and so she made my daughter’s costume this year. She is an adorable little witch. My son is going as a football player so we gathered everything he needs for his costume this week as well. I love hosting Halloween at our house. We have an amazing little neighborhood so our family comes here for trick-or-treating. 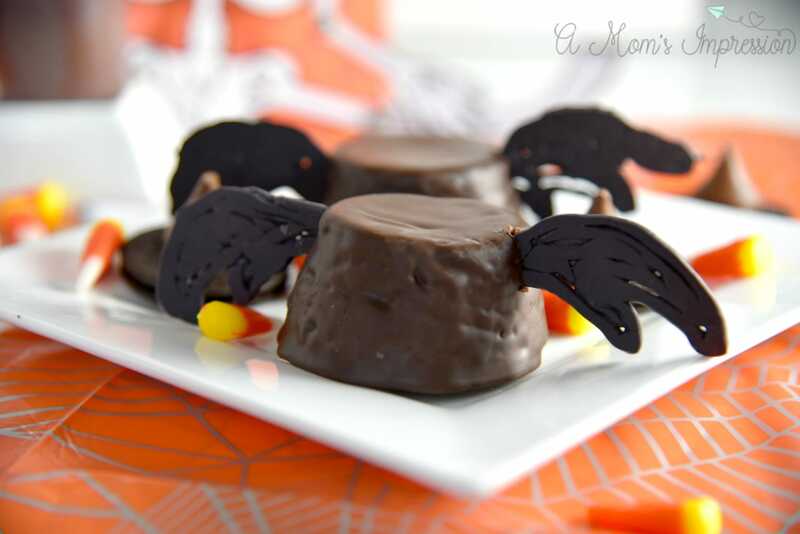 While we were thinking about Halloween, I wanted to create some quick and easy Halloween treats for kids to serve at our party. 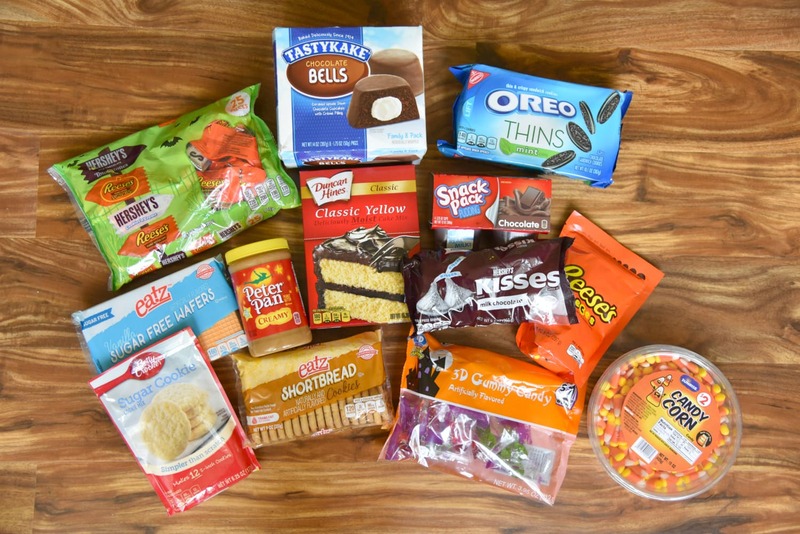 We all took a trip to our local Family Dollar store and stocked up on some supplies to create these easy treats. We found everything we needed in one place! Family Dollar has become my go-to store to find great deals for my family. 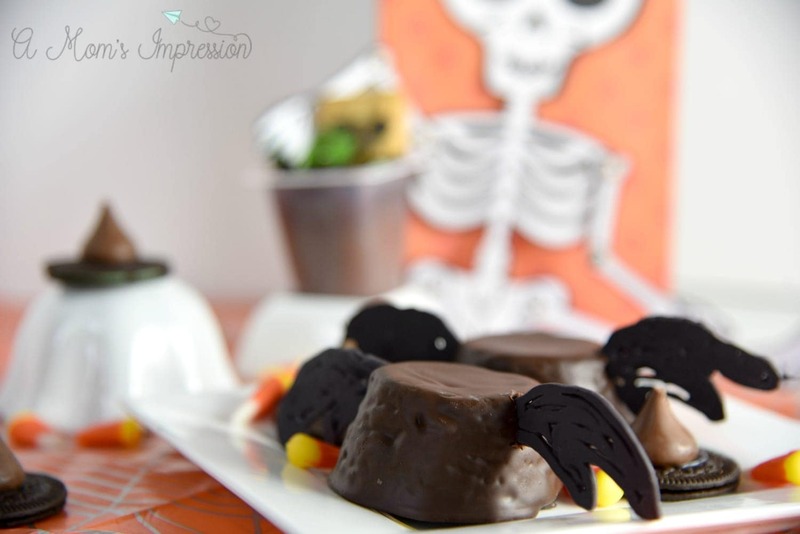 On this trip, I was determined to create easy desserts that I could make quickly for a fun Halloween party. I found some great supplies that got my creative genes flowing. I think that sometimes people think that creating a dessert table has to be complicated, it really doesn’t. 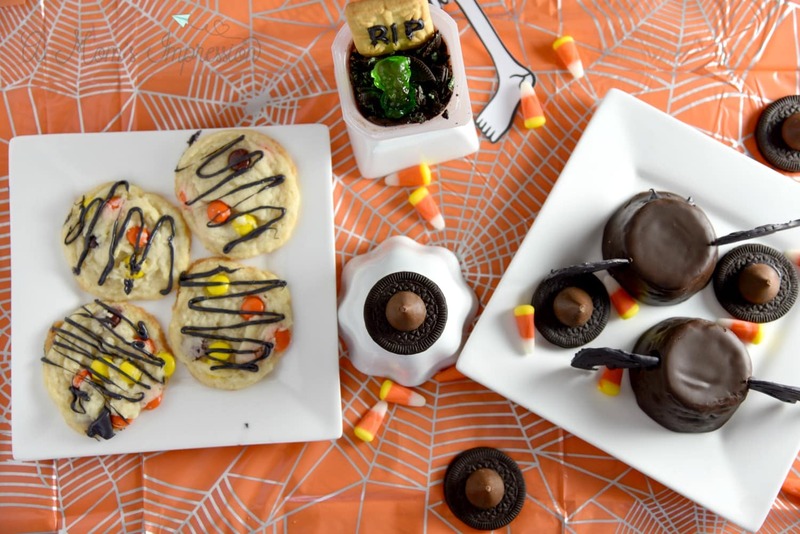 I created 4 quick and easy Halloween treats for kids that I know everyone at our party is going to love. They are all cute, simple and easy to replicate on a budget. This first treat is probably the most simple. When I found these sandwich cookies at Family Dollar with the green filling in the middle, I thought they were perfect for making witches hats. 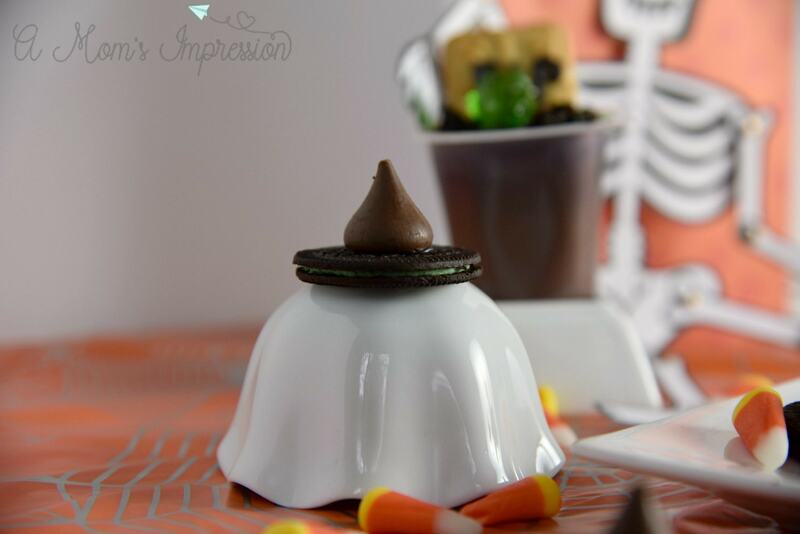 To create these you simply take a Hersey’s Kiss®, put melted chocolate on it and stick it on top of your sandwich cookie. The wonderful thing about this is that you can make them look like whatever you want. If you want to add embellishments you can do that. You can use any type of sandwich cookies that you find. Family Dollar has a bunch of different brands and flavors to choose from. I think my favorite little snack idea came when I found these little gummy ghouls at Family Dollar in the Halloween candy area. I thought they looked like zombies and immediately thought about a graveyard. 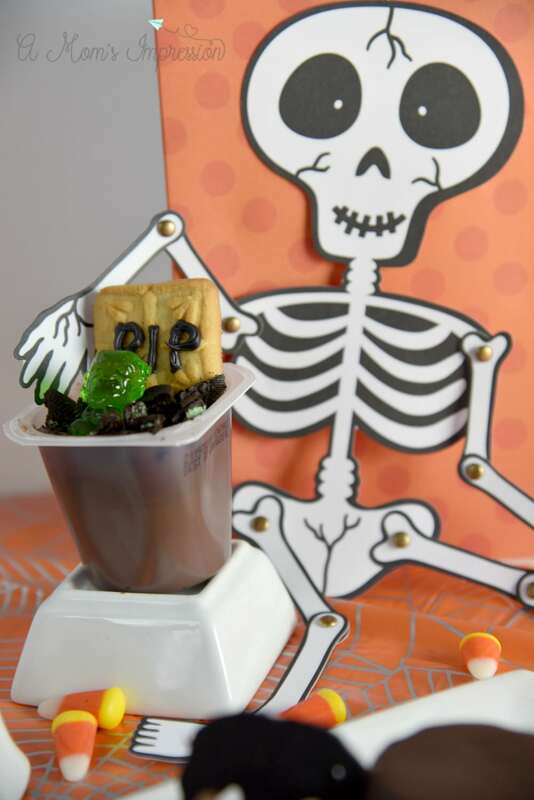 When I went to the baking area of the store and saw the pudding cups, I knew I could make them into little graveyard snacks for the kids. I took some of the same cookies that I had left over from the Witches’ hats and crushed them in a little baggie. 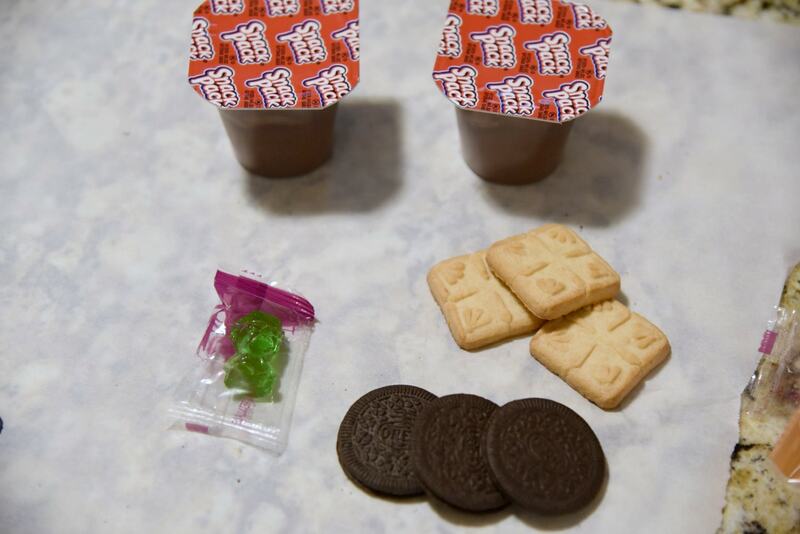 I sprinkled the cookie crumbs on top of the pudding and stuck my little gummy ghoul down into the mixture. I then took a shortbread cookie and piped an R.I.P. with melted chocolate for a tombstone and stuck it behind the ghoul. Family Dollar has some great baking mixes and cookie mixes available. 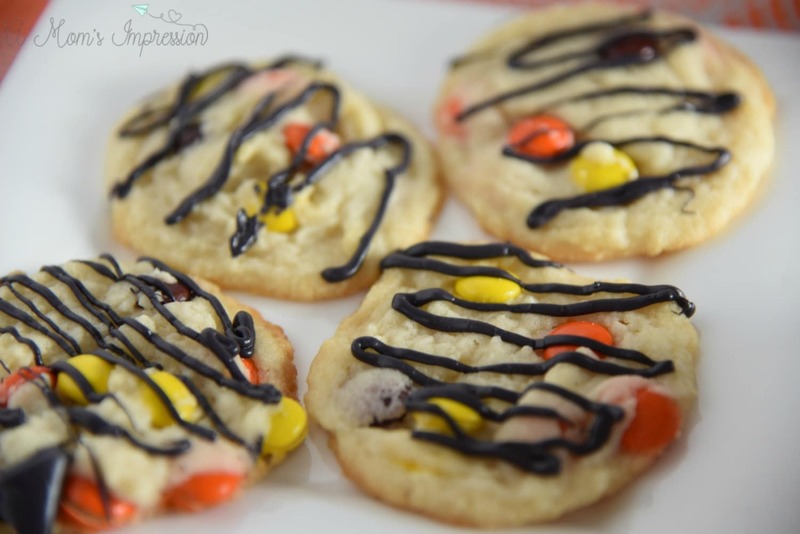 I took a sugar cookie mix, prepared it according to the package directions, and added in some orange, brown and yellow peanut butter candy bits to make some Halloween cookies. When they came out of the oven I added some melted chocolate on top to give it even more of a Halloween vibe. These turned out so well and were delicious. I love super simple ways to entertain and you can do this for any holiday just by changing up the colors. 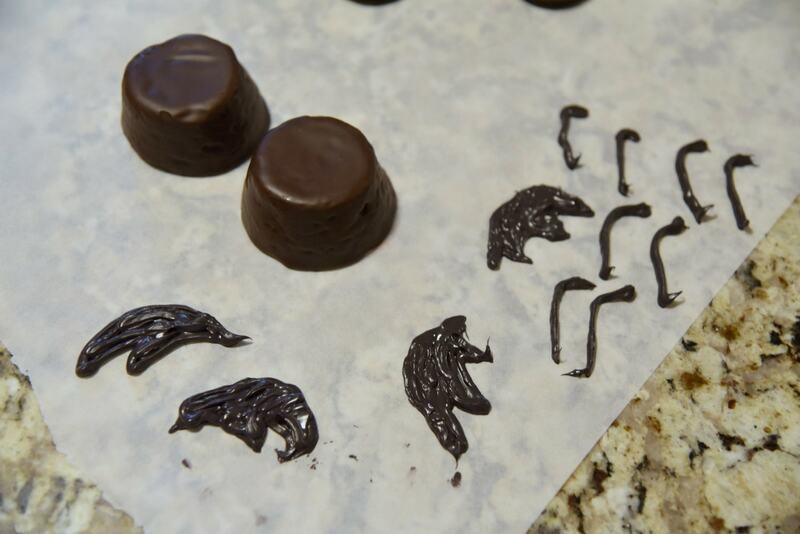 Every Halloween treat table needs some tasty bats! When I found this Tastykake® at Family Dollar, my mind immediately thought of turning them into flying bats. 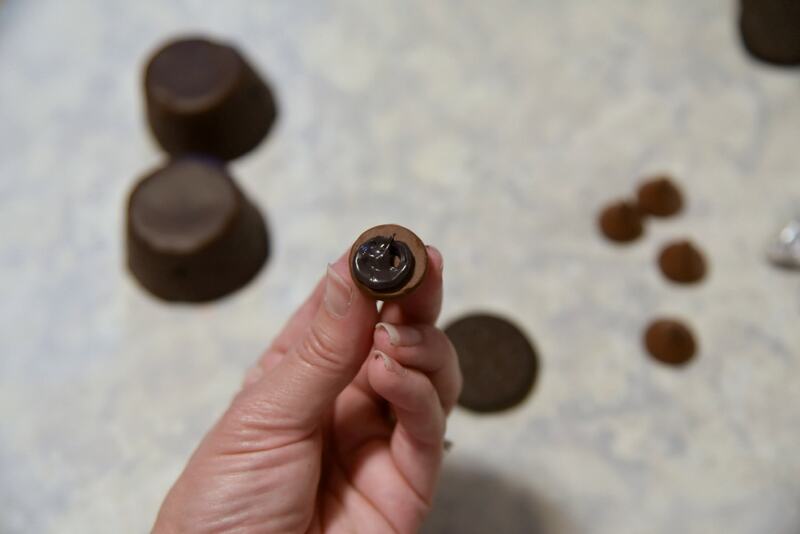 This little treat is so simple, yet makes a big impact. I simply piped out some bat wings with melted dark chocolate onto wax paper. After about 15 minutes, the wings hardened enough to stick them into the sides of the Tastykake® to create bats! As you can see from the picture above, I thought about turning them into spiders as well, but those little legs were a little too small to stick in the sides of the cake and they broke. I still think I could think of a way to make them spiders, so if you have some suggestions let me know! All in all, these four adorable little treats are perfect for a Halloween treat table at your festive gathering. Also, I found that adorable skeleton card at Family Dollar as well! I love him and how posable he is. He made a great addition to my festive table. Family Dollar is the place to go for everyday low prices. Be sure to also check out Smart Coupons for even more savings. To find a Family Dollar store near you, use this store locator. Disclaimer: Items found in this blog post may not be available at all Family Dollar stores.